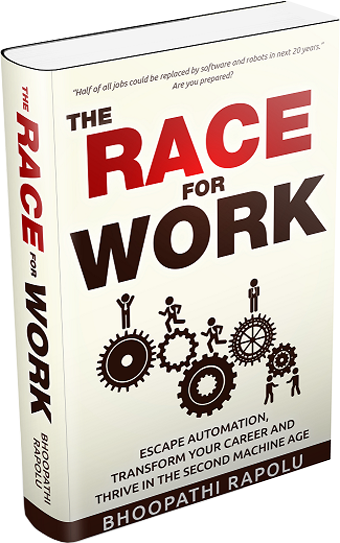 The Race for Work has hit The #1 Bestseller on Amazon in its categories today. This is possible mainly because of the support from the regular visitors to my site. It made all the difference. Thank you. 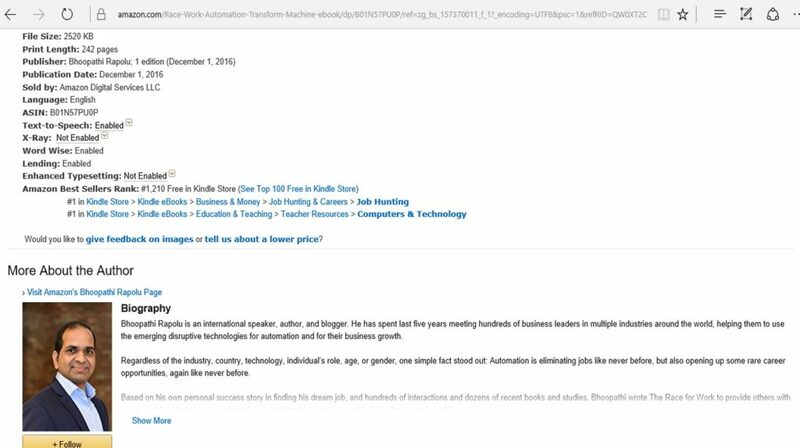 When I first decided to write this book, I thought I could finish it in 3 months and my initial aim was to write a 50 page eBook. After nearly 2 years, it ended up with 242 pages. This is after removing around 30 pages of content during the second and third reviews. I started with a big hope and enthusiasm, but it soon started declining slowly after 3 months because I missed my deadline by a wide margin. It’s like a typical IT project management. We are never good at estimation. But all that despair has gone now with your support to bring this book to what it is today. I am so grateful for you. In case you have not got this book yet, you can still get a free copy for next 2 days. 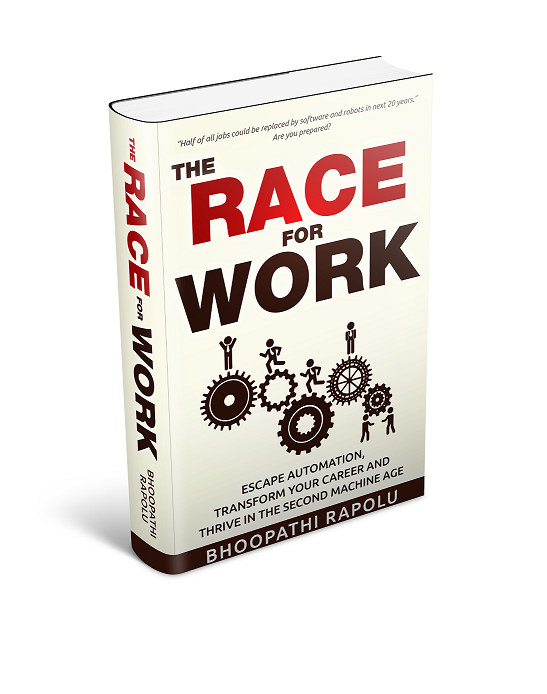 Get your copy from Amazon USA, Amazon UK, Amazon India. I am sure you won’t be disappointed getting this copy. It has some of the valuable lessons from over 100 books I read in the past 5 years. You don’t need to read the whole book. You can directly go to the chapters that sound interesting and unfamiliar to you. If you want anyone else should get this free book, it’s very easy. I have prepared the ready to share links for your favorite channels. Use this to share with just a single click. This entry was posted in Blogpost on December 3, 2016 by Bhoopathi.